The Planet Light Vessel has been removed from the Port of Liverpool and now awaits its fate in Sharpness. There is hope that she will return and a campaign is in motion to try and achieve this goal. Here, on our home page you will find what we have achieved at Fort Perch Rock and on the Planet Lightship over the years. 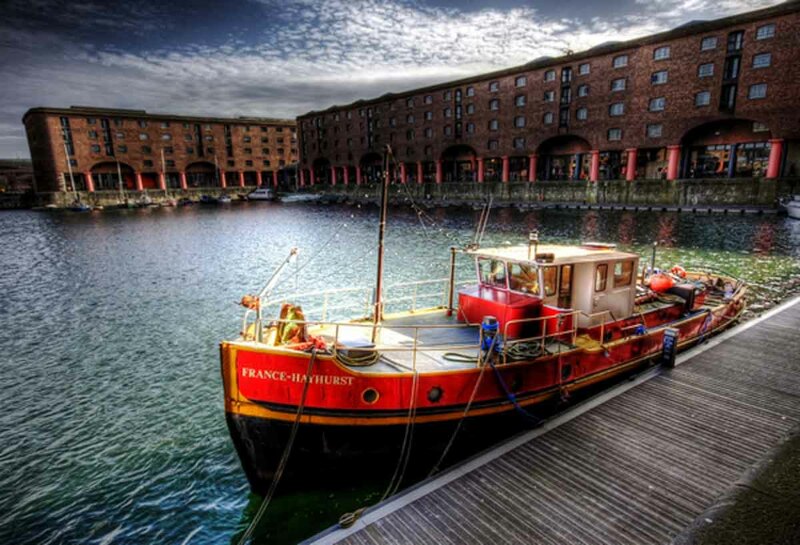 The web site is about our endeavours to preserve Marine Radio Equipment and Merchant Navy History , on the Planet Lightship and Fort Perch Rock. Though some of it may not be there now it is a history on what we achieved and you really want to try and have the enthusiasm and will. The museum included both the marine MN wireless radio museum and the MN memory room museum. There were three typical Merchant Navy radio rooms on display in the radio room museum. All three are from different manufacturers and era's, in both the radio telegraphy and radio telephony field of marine commnications. We also preserved the history of both the equipment and the associated books and journals one would normally find in a typical merchant ships radio room. It was also about preserving the history of the MN ships and coastal stations, Radio Officers and their duties, and of their now sad demise as the era of the Radio Officer has sadly ended after only around 100 years or so since Gugliemo Marconi sent his first wireless signals across the Atlantic oceon, which started the era of marine radio communications. Bob Bunker, Alan Waddington, Mike Carter, Bill Cross, Dennis Pacey, Dennis Cooper and Stan McNally. This award was granted to us for our original (previous) website, due to the good works of John Hudson. Since then changes have been made and we hope to obtain another for our current website, too! Due to circumstances beyond our control we have had to leave the Fort. Charges were being required for us to remain at the Fort which we were not able to afford and it went against the grain when we gave of our time freely. We have left under mutual understanding that we will leave our Exhibits in place so long as the Fort remains under the Darrock Family control. Our Team has remained in place and are looking for a new abode in which we can further donate our skills to remember the Merchant Navy and that of Wireless communications around the World. Please enjoy our Web Site with its many exhibits and stories which we will now try to keep up to date with news and many additions which we have been given. We have been invited back to our old stamping ground ''Planet Light-vessel 23''. See the 'news page' for more information on this.